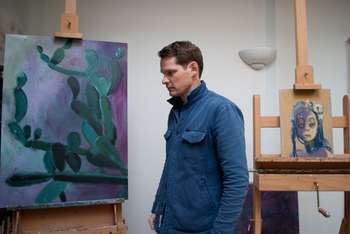 "From an ongoing body of work exploring themes of hope, anxiety and failed utopias. 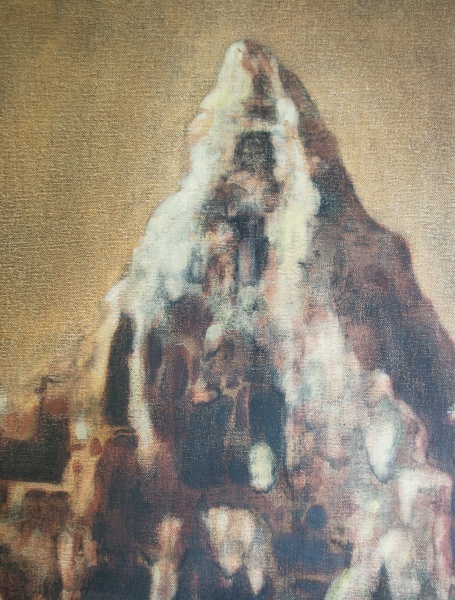 The image makes reference to resort architecture and the idealism espoused by aspects of the Modern movement in the twentieth century. Details have been, erased, edited out and over-painted to suggest the instability and fragility of memory while the sombre, almost monochromatic colour palette helps to create a melancholic atmosphere. 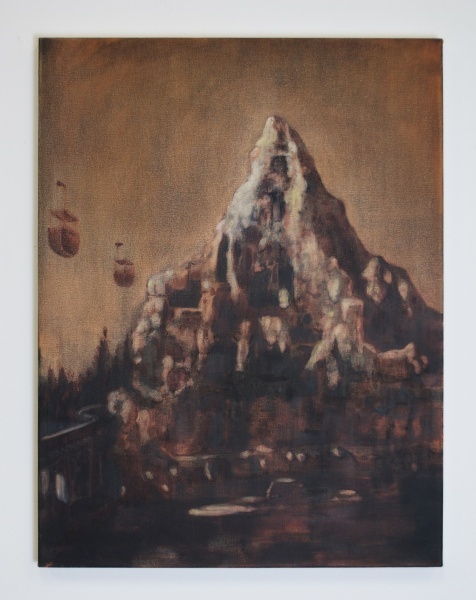 This painting was made from a found image of the Disneyland recreation of the Matterhorn."